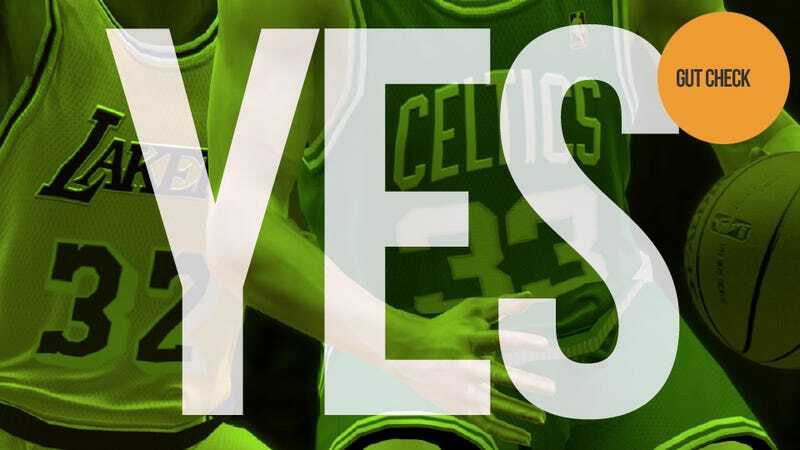 Should You Buy NBA 2K12? Yes. Stephen Totilo: Yes, though I gotta say I haven't played the game. I played last year's NBA 2K11 and, not even caring about sports games, was blown away. So if had to get a new basketball game for $60, I'd get this. You know, it's not like there are any other sim basketball games to choose from and this series has been much-loved by sports-gaming experts. Evan Narcisse: I've played NBA 2K12 at press events and demos and have been impressed with it each time. After the blockbuster success of last year's game, 2K12 certainly could've rested on its laurels and coasted this time out. Instead, they've blown out the Jordan-centric concept of the last installment to really nice effect. There's a demonstrable difference in handling different players, the archival viewing mode is great and broken-hearted Knicks fans like me can finally see to it that Patrick Ewing gets a ring. I say get it. Owen Good: Yes, no hesitation. Having put about 10 hours into this game, NBA 2K12 is one of the most fundamentally enjoyable sports video games I have played. For those curious about the genre, or basketball, or looking to return after some time off, this is offers a very accessible entry. The moments I've had in "NBA's Greatest" have sparked some really fascinating, even touching conversations with my father and those of his generation. NBA 2K12 may also be the only pro basketball appearing on your TV set for the foreseeable future. You could do much worse; namely, an actual NBA game in November. We'll revisit NBA 2K12 with a full review next week. These gut checks were based on console versions of the game.